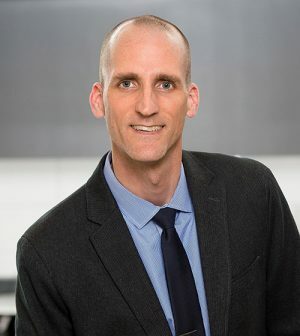 KAI Design & Build proudly announces the promotion of Marcus Moomey, AIA, DBIA, to the new position of Director of Design-Build in KAI’s Build Group. Moomey held the position of Director of Architecture for the past three years. Vice President and Senior Project Manager Todd Jacobs, AIA, FHFI, LEED AP, has been promoted to fill Moomey’s vacant position. In his new role, Moomey will be responsible for growing the design-build business with Vice President of Construction Brian Arnold through maintaining existing and cultivating new client relationships. Additionally, he will be responsible for leading project management, developing process and policy, integrating design and engineering into KAI’s design-build projects, and implementing EOS software. During his tenure at KAI, which began in 2005, Moomey has served in a variety of positions in design, construction and firm leadership where he has been responsible for planning and executing projects, overseeing construction sites and managing project objectives, requirements and personnel. He has a total of 20 years of industry experience designing, managing and constructing a wide variety of projects. Moomey has a Bachelor of Special Studies from Cornell College in Mount Vernon, IA, and attended Washington University in St. Louis, MO where he received a Masters in Architecture and a Masters of Construction Management. He is an active member of AIA St. Louis, AGC MO and DBIA Mid-America Region.